Earlier this month, Mr WLL and I headed to the Manchester Arena to see Peter Kay’s Phoenix Nights Live. I managed to bag us front row tickets which I thought would make the perfect birthday gift for him as he loved the show when it was on and we’re both big fans of Peter Kay and Paddy McGuinness. The show was fabulous show, except for the fact that I was picked out as part of one of the acts and out up on the big screens in front of 14,000 people, how embarrassing! I was already anxious to begin with as it was so busy but after that, I was absolutely mortified. Haha trust me!! E I’m laughing about it now but at the time I wanted the ground to swallow me up. That’s the last time I sit on the front row! We were travelling down from Newcastle and I knew that I wouldn’t have time to get changed before heading out to the show so I wanted to wear an outfit that was comfortable but still smart for the show. I opted for a simple all black outfit which seems to be a staple for me right now and then I popped on this gorgeous Mosaic Floral Cover Up by Ann Harvey. They’ve just relaunched their collection in its new home, Bon Marche, and it is beautiful. What I like the most about it is that there are lots of coordinating pieces and items in complimentry colour palettes so you can really mix and match pieces to create a multitude of different looks. The brand is aimed at the slightly more mature customer and the pieces that are in the collection are so fitting because theres such a wide range of styles and patterns within these colour palettes that you can create a capsule wardrobe from. A lot of women are looking for high quality pieces that are worth spending their money on because they’ll last for years to come and that is the quality that you’re going to get when shopping from the Ann Harvey collection. I’d really recommend it. This cover up is ideal for throwing on over a maxi dress or top and trousers combo. It is light weight but excellent quality. There isn’t anything flimsy about it and it washes really well. 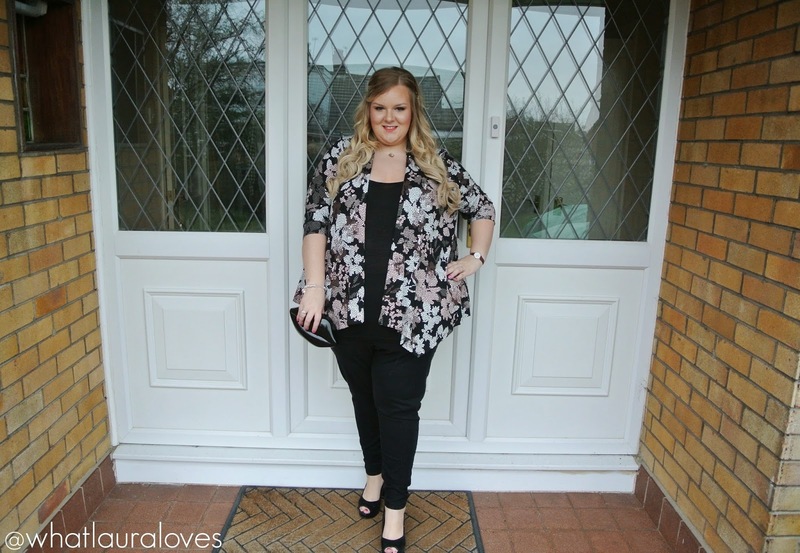 I love the the print and the mix of colours and the waterfall shape is really flattering, particularly if you have a large tummy like I do! I paired it with my favourite black clutch and silver jewellery. Return to Tiffany Mini Heart Tag Earrings from Tiffany & Co.
Return to Tiffany Heart Tag with Key Pendant from Tiffany & Co.
Have you ever had an embarrassing moment at a show before? I love that floral cover up! Looks great. And yeah wouldn't want to sit in front row myself. Nightmare! 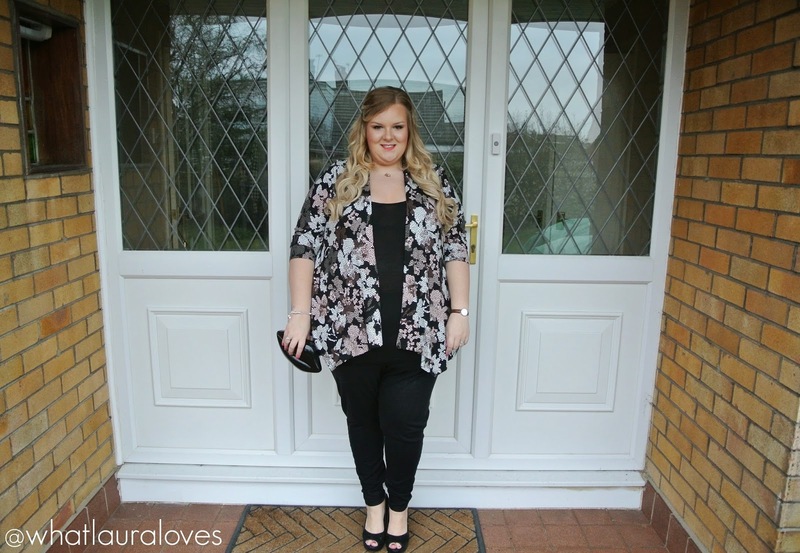 love the flora cardigan on you, gorgeous! Great outfit, I like the floral top!